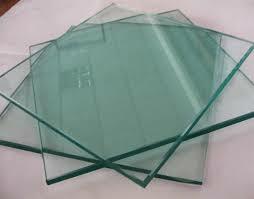 Tempered glass production - Tempered Glass Looking for Tempered Glass? Tempered glass is a modern material that is subjected to thermal and chemical treatment using heat and rapid cooling with air. Tempered durable glass is characterized by high safety, as in the process of destruction it breaks down into many small fragments with blunt edges that are completely harmless. 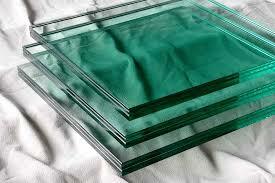 Tempered glass has good strength so that it can withstand significant shock loads. How is tempered glass produced? Giovani Glass specialists will tell you. At first, simple glass is made, which is immersed in a special furnace and is heated in it to a temperature of 600 degrees undergoing a slight thermal expansion. Further quenching of heat-resistant glass assumes its sharp cooling, by means of air compressors evenly distributing the air flow. First of all, the surface layers of the material begin to cool down, and residual compressive stress occurs in the inner layers, as a result of which the products acquire high heat resistance and good mechanical strength. After the production of tempered glass is completed it should cool to room temperature and then it can be used for its intended purpose. Remember that the tempered glass cannot be polished, cut, you cannot drill holes in it, process the edges and change its shape. All these procedures should be carried out only before the manufacturing process begins.